A disturbing photo of a two-year-old Honduran asylum seeker. 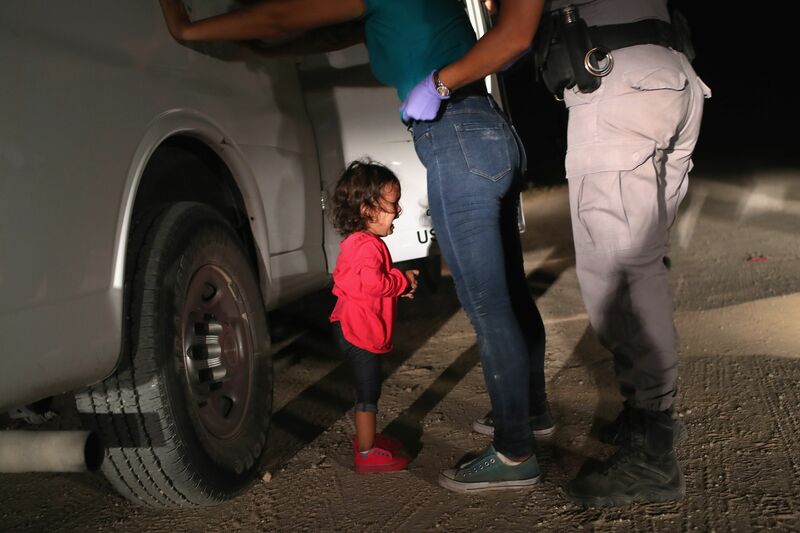 The story in the Washington Post containing the above photo: ‘America is better than this’: What a doctor saw in a Texas shelter for migrant children. Call Congress. Let them know you want the practice of family separation to end. Ask them to support bills that will help reunite children already taken from their parents and prohibit future removals. Those include the Senate's HELP Separated Children Act and Keep Families Together Act. The American Civil Liberties Union offers a script for calling the Senate, although please feel free to use my outraged comments below if you prefer! Ask Senators Grassley and Ernst why they are not cosponsoring legislation to keep ICE from tearing children away from their parents and locking them up in detention centers, including “tent cities”. Do they approve of this Trump Administration practice? Do they agree with Attorney General Jeff Sessions that this response to immigrant parents and children seeking asylum is justified by the “Apostle Paul and his clear and wise command in Romans 13 to obey the laws of the government because God has ordained them for the purpose of order”? Ask Representative Loebsack what the House is doing to end family separation. Thank Senators Duckworth and Durbin, who are both cosponsors of the HELP Separated Children Act and Keep Families Together Act. Ask Representative Bustos what the House is doing to end family separation.